As if there isn’t enough uncertainty right now for Northern California weed farmers, this week's fires are threatening the 2017 harvest. That is for those farmers who are lucky enough to have a harvest. 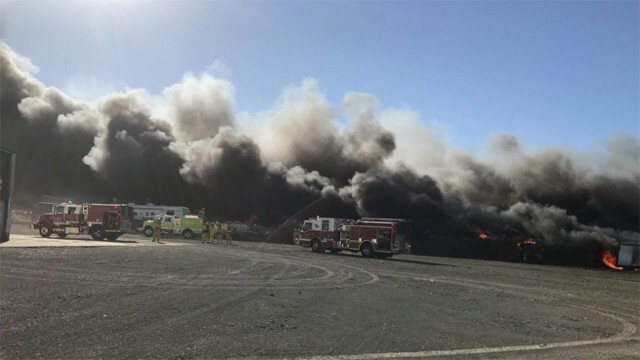 Fires are raging in 14 counties, according to the California Department of Forestry, and an estimated 1,500 residential and commercial structures have been destroyed. Since late Sunday night, 57,000 acres have burned and tens of thousands people have been evacuated. And that’s just the past few days. The National Interagency Fire Center claims a total of 3,692 Northern California fires have burned 411,742 acres in 2017. While the scope of these life altering tragedies is still being calculated, cannabis farmers have begun to assess the toll on this year’s outdoor harvest and the outlook is grim. In addition to unsavory odors, cannabis exposed to smoke and ash is more vulnerable to disease, which can result in high levels of molds, mildews, and fungus, creating potential health risks such as lung infections. Medical cannabis users with preexisting conditions such as lung or cardiovascular disease should be particularly careful about the condition of their cannabis. Many farmers are now predicting that pot tainted by the scent of fire will lose value due to poor flavor and the uncertainty of the plant’s health, according Hezekiah Allen, executive director of the California Cannabis Association. The potential fire damage comes at a time when California’s Office of Cannabis Control is establishing tough new regulations for the new recreational and medical marijuana markets. All cannabis sold under the new legal framework will have to be tested for wholesomeness. The question now looming over the new market is how much of the Northern California outdoor harvest will make it past the rigorous testing standards.